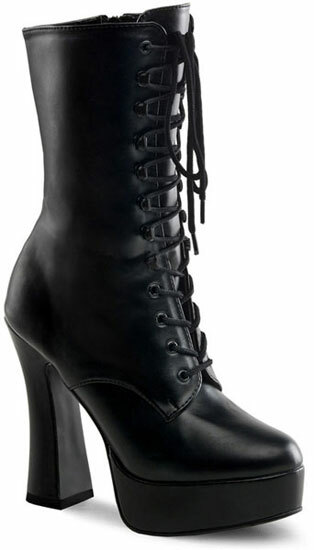 These 12 eyelet lace-up platform boots have eyelets and speed laces up the front. They also come with a full inner side zipper for easy on and off. 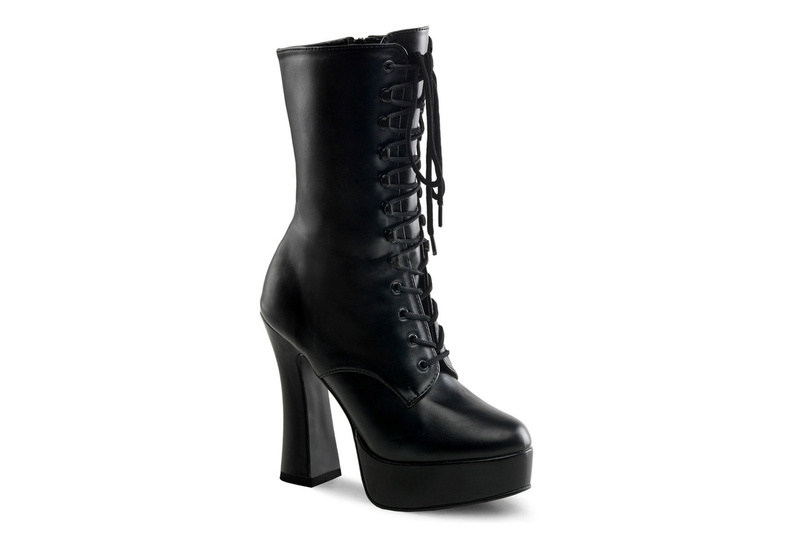 The 5 inch stack heel with 1 1/2 inch platform gives you just enough height on these fantastic pair of boots.